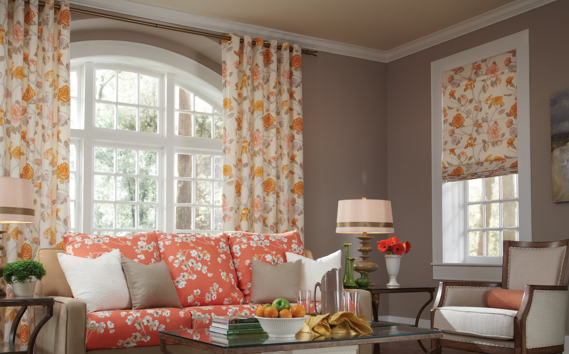 At Jan's Custom Window Fashions, we're committed to excellence. We provide a variety of services to keep your residential or commercial property looking beautiful. We're not only able to provide the consultation and installation, but aftercare as well to protect the look and quality of your window treatments in your home or office. 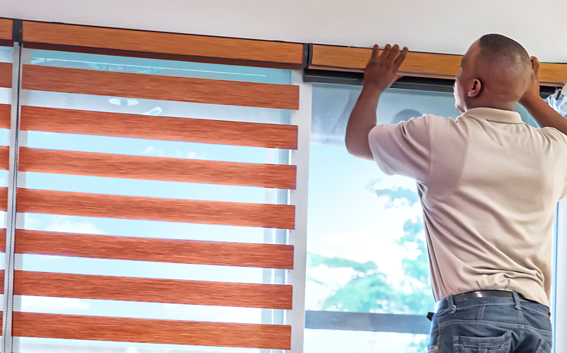 Whether you're in need of new window coverings for your entire home, a simple repair for one covering, or a battery exchange in your high-reaching motorized shades, the professional and experienced team at Jan's has you covered. We serve the Mid-Michigan area, including Genesee and Oakland Counties and the surrounding areas. We'll come to your home to discuss your window covering and treatment options! Our design consultants represent the best in the industry with extensive knowledge of Hunter Douglas, Comfortex, Lafayette, Norman, and Graber products to help you make the right selection. We'll help you achieve the "I love it!" experience. Jan's Custom Window Fashions is a part of Jan's Professional Dry Cleaning family. We have 30+ years of professional experience in the cleaning industry to properly care for all of your soft goods. We're certified to clean on site, and our team is accommodating to your schedule and mindful of your property. 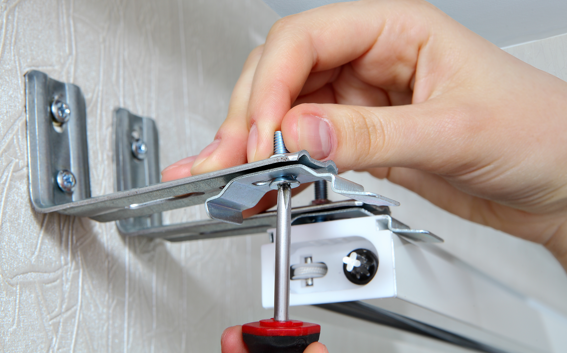 Our professionally trained team has the experience to measure and fit all types of window coverings perfectly. No matter the size, shape, or location, we'll ensure your new coverings or treatments meet your privacy needs and style preferences. Have a blind, shade, shutter, or drape with damage? The team at Jan's is here to help. We can repair and restore all types of residential and commercial window treatments. In some cases, repairs can be made on site. If the repair cannot be made on site, our team will place temporary blinds or shades for your privacy. Jan's Custom Window Fashions has certified installers to properly install all of our Hunter Douglas, Comfortex, Lafayette, Norman, or Graber blind, shade, and shutter products in your home or residential property in Mid-Michigan. We'll never subcontract your job to other parties. home with expert design consultation. commercial property within your budget.